Hennessy Gold Cup Chase (Handicap) 3m2f Newbury Saturday – First run in 1957, the race has been won by some of the greats of the Winter Game, including Arkle, (twice) Burrough Hill Lad, and more recently Denman, (twice). With eight individual Cheltenham Gold Cup winners, and many more outstanding chasers, on the roll of honour, it is advisable to look for a young horse, on the upgrade, who has performed at a high class level in its first season over fences. The great Arkle claimed two Hennessys: in 1964 and again in 1965. Older animals have a particularly poor record in the race, and we have to go back to 1981 to find a winner older than nine. (Doesn’t bode well for 10yo Double Ross). With three winners apiece, training honours are shared by Nicky Henderson and Paul Nicholls and both are again represented by highly creditable candidates. A man who has never won the race, but did train last year’s runner up, Theatre Guide, is the amazing Colin Tizzard and his upwardly mobile 6yo, Native River heads the market. A thoroughly genuine type, as his record of six wins and six places from his fifteen starts bears eloquent testament to, he ran his usual solid race on his reappearance in a 3m Wetherby Hurdle four weeks ago. Having his first run for nearly seven months he stayed on strongly to finish 2 3/4L second to Silsol, with the very useful Lil Rockerfeller 1/2L back in third. Second in the 4m National Hunt Chase at the Cheltenham Festival, he won the 25f Grade1 Novices Chase at Aintree 24 days later under a great ride from Richard Johnson. He won by 3L and 3 3/4L from Henri Parry Morgan and Blaklion, and with the same man doing the steering on Saturday, the Tizzard horse looks a worthy favourite. A definite reservation would be heavy ground as he had no answer to Blaklion in those conditions at Wetherby in February. The latter’s trainer, Nigel Twiston-Davies, I’m sure would be more than happy to see the heavens open, as his Cheltenham RSA winner handles heavy conditions better than most. Not that the talented 7yo needs such conditions as we saw in that epic performance at the festival, when he outbattled Shaneshill on good ground. Blaklion made a perfectly satisfactory reappearance in the “Charlie Hall” four weeks ago, finishing 4th, and while he does seem to have some leeway to make up with Native River on Aintree form, I suspect that the Twiston-Davies horse found that race coming too soon after his Cheltenham exertions. Given soft ground I can see This relentless galloper making a big impression. The Paul Nicholls trained 7yo Saphir Du Rheu was sent off favourite for last years renewal, racing off a mark of 163, but didn’t seem to quite get home, and finished 5th, beaten 22L. It was a similar story for the rest of the season, seeming to struggle in the closing stages of his races, but there were signs of a revival at Ascot last time on his reappearance after a five months break. At the Berkshire venue, four weeks ago, he responded well to pressure from three out, and staying on strongly, nearly snatched second on the line in what was a strongly run race. If his problems are indeed behind him, he looks nicely treated on a mark 9lbs lower than last year, and could provide the Ditcheat handler with a fourth success. Smad Place put up a sparkling performance last year, when, jumping like a stag, he came home 12L clear of his field off a mark of 155 to leave Oddsguru readers celebrating. Could the galloping grey stage a repeat of last year’s success? Taking it up at the 10th fence, he was never headed afterwards, and went into many notebooks as a Gold Cup possible. However, after coming home in front, in what was a real slog in the Cheltenham mud in January, he disappointed in the Gold Cup, and may well have been feeling the effects of that attritional January contest. Retired for the season he made a satisfactory reappearance at Aintree 34days ago, finishing 4th, over an inadequate 20f. As the great Arkle, over fifty years ago, was the last horse to win back to back Hennessys, Smad Place with top weight, clearly has his work cut out on Saturday, but it’s just possible that we have yet to see the best of Alan King’s charge, and it would be great to see the galloping grey do a repeat. The prize has gone back to the Nicolashane yard on four occasions, (three for Martin and one for David) and there must be plenty of optimism down Somerset way that the talented 7yo, Un Temps Pour Tout can bring home a fifth. 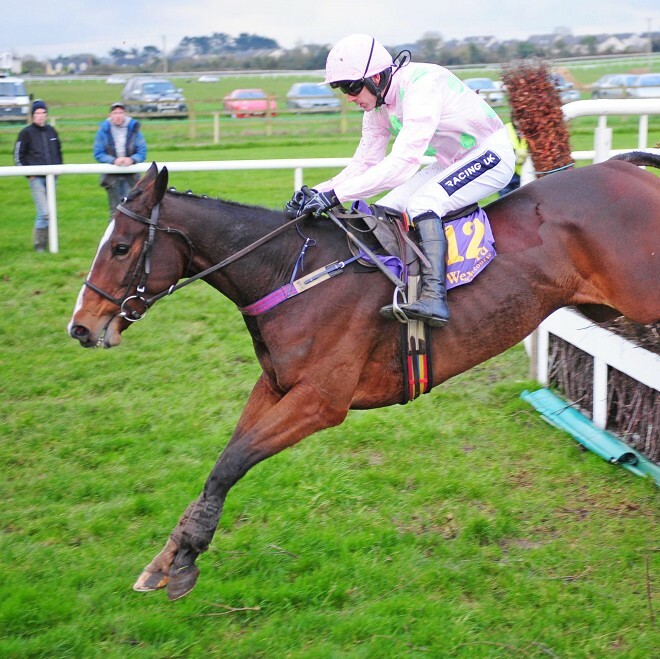 A top class staying hurdler in France, winner of a Grade1 3m1 1/2f contest on very soft at Auteil in June 2015, he showed that he was going to be an equally potent force over the larger obstacles, when winning easily at the Cheltenham Festival, off a mark of 148, on only his fourth run over fences. He had the very useful Holywell 7L back in second,and the Young Master a further 9L back in third in the twenty three runner contest. He was found to be lame behind, when finishing 4th in Native River’s Aintree race three weeks later, but demonstrated his wellbeing when taking an Aintree Hurdle on his reappearance twenty one days ago. This very progressive animal handles any ground and is particularly well suited by soft so has to be on the shortlist to give the Pipe yard a fifth success. Peter Bowen’s 8yo, Henri Parry Morgan was a useful staying hurdler, achieving a rating of 129, but has really come into his own since tackling the larger obstacles, and is now rated 150 in that discipline. Mind you, both initial attempts over fences were less than promising, finishing last at Bangor, and unseating over course and distance last December. However next time, equipped with a tongue tie, he showed what he could do, storming home from the subsequent winner, Bear Rails in a Chepstow Class 3 handicap. Raised 13lbs for a Uttoxeter Class2 three weeks later, he repeated the dose, coming home 15L clear of Delgany Demon. Upped to Grade1 level, in Native River’s Aintree race he was beaten 3L but reopposes on 5lbs better terms at the weekend. Having travelled well, he unseated at the 19th when favourite for the Bet365 Gold Cup at Sandown in April and was put away for the season. This 8yo is bred to stay “forever”(by Brian Boru, out of an Over the River mare) so if conditions are testing on Saturday, would be worth considering. Selection: Un Temps Pour Tout. Saturday’s contest is run over obstacles based on the French hurdle design, which is similar to a plain fence but lower in height, and significantly, unlike the British design, are of very rigid and inflexible construction, so it comes as no surprise that many subsequent top chasers, such as Grand Crus and Dynaste have won the race, and Holywell and Synchronised have been placed. David Pipe has won three of the ten renewals of the contest, but given the likely conditions at the weekend and the current low strike rate of the Nicholashayne operation his two representatives, Low Key, and Batavir are passed over. However the man with the second best record in the race, Nick Williams, who has hit the back of the net on two occasions, runs the six year old Tea for Two, and he isn’t so easy to dismiss. He breezed up in the 21f Lanzarote hurdle last January off a mark of 134, winning by 16L, but was hit with a 19lbs rise for his trouble. Having disappointed in his next two races he has been cut some slack by the handicapper and raced with some promise, off a mark of 142 finishing sixth, on his reappearance at Chepstow six weeks ago. By Kayf Tara, Saturday’s 23f shouldn’t present any problems and again enjoying the benefit of Lizzie Kelly’s 5lbs claim he looks a well handicapped horse off his new mark of 141, only 7lbs higher than for his Lanzarote romp. With a greater emphasis on stamina likely at the weekend, Warren Greatrex certainly has a candidate in Shantou Bob bred for the job. The seven year old is by the St Leger winner, Shantou, out of a Bob Back mare so Saturday’s 23f should hold no fears. He relished testing conditions in only his third race over hurdles, when failing by the shortest of margins to get the better of Vyta Du Roc in a Cl1 Gd2 novices hurdle at Sandown last December. He was staying on with great resolution, and the effort was even more meritorious as he lost a shoe causing him to hang. He broke a blood vessel when odds on in his next race and was a little disappointing at the Festival over three miles, but did run on well to finish sixth. Very lightly raced one feels the best is still to come from Shantou Bob and a reproduction of his Sandown effort would put him firmly in the mix. Venetia Williams’s French-bred 5yo Yala Enki looked an animal going places when hosing up in a 21 1/2f novices hurdle at Exeter eighteen days ago, making all, and winning by sixteen lengths. A winner over fences in France he is clearly a pretty versatile young horse and as six of the ten winners have hailed from his country of birth, and five of the last six first past the post, have been five year olds, the stats certainly point firmly in his direction. Brian Ellison’s 6yo Definitly Red showed the right attitude, when despite a ground losing mistake at the third last, he fought back to beat the favourite, Fletchers Flyer, over three miles at the course in Febuary on soft ground. He was pulled up at the Festival, but this winner of two listed bumpers in testing conditions at Newbury and Cheltenham, (also won a heavy ground Uttoxeter bumper) definitly has an engine and looks well treated off a mark of 138, giving him a nice racing weight of 10st10lbs. A winner first time out for the last two years, he is well worth considering. Emma Lavelle’s triple course winner, Closing Ceremony, is worth a second look. He was beaten in a 26f Warwick slog by Join The Clan, to whom he was conceding 22lbs, (including Patrick Cowleys 10lb allowance) last January off a mark of 134, but made a very good impression five weeks later when making all in a Cl1 Gd2 hurdle over three miles at Haydock, in a time four seconds faster than Definitly Red managed on the same day. While such time comparisons can be slightly spurious this stout stayer is clearly on the up, and will definitly improve for his reappearance run behind Aqualim three weeks ago.